Though Vietnamese food has been threatening to take India by storm for the past few years, it has so far been more niche than nationwide. Now, finally, the cuisine is ready to battle for wider recognition. Vietnamese food is the trend that’s been waiting to happen. Foodies have called it the ‘next big thing’ for years, but it’s now that the cuisine is cast into the spotlight by changing tastes. Vietnamese food is creeping up not just at food festivals around the city but also in the form of speciality restaurants. It seems Vietnamese is the new Thai. So what’s working for this cuisine in India? To find out, climb aboard the food trend train to Vietnam! Vietnamese cuisine doesn’t win any points for complexity. Many of the most popular dishes can be easily recreated at home as also in a hi-end restaurant. But it’s precisely this simplicity, the subtle flavours and the fresh ingredients that are drawing Indians to this cuisine. “Indians have become a lot more discerning over the last couple of years and are open to suggestions from the Chef, which definitely helps in introducing new flavours to them,” says Chef Cheang Chee Leong, Chef De Cuisine Mekong Palladium Hotel. 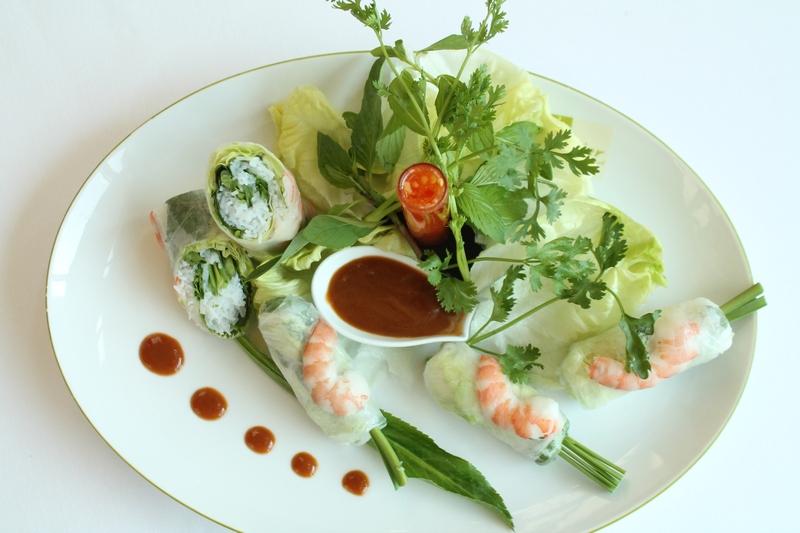 Palladium is one of the few 5 starhotels in Mumbai with an Asian restaurant serving distinctive Vietnamese cuisine. The food is also fresher, healthier, lighter and brighter than Chinese, Indian or French, three of its closest influences. Flavours and textures are so beautifully arranged that each note rings clear, from the piercing high of bird eye chilli and nuoc cham (fish sauce) to the flavourful stock. “Vietnamese cuisine is planned on the Ying Yang principle of balance. Hence the meal incorporates essence of sweet, sour, bitter, hot and umami. Many of the dishes are a complete meal in itself with all the flavours and taste incorporated in one,” adds Leong. Vietnamese food is all about rice (steamed, sticky, noodles, pancakes, porridge), along with lots of fish sauce and fresh herbs like mint, cilantro and lemongrass. Tropical fruits like rambutan, banana, papaya, mango, etc often find its way into the main course. Proteins come in the form of seafood, pork, beef and chicken. Borrowed flavours from the French and nearby countries like Laos, Cambodia, Thailand and China add a punch. “Ingredients such as rice, ginger, lemon, mint, basil, coriander and curry powder used in Vietnamese food find resonance with Indians. They really love the simplicity and freshness of the dishes,” affirms Chef Van Son, Executive Sous Chef, Sofitel Saigon Plaza, Vietnam, who was recently in India for the Vietnamese food festival at Sofitel Hotel Mumbai. Almost all Vietnamese dishes come with sauces on the side. Apart from the ubiquitous fish sauce there is Nuoc Cham – a mixture of fish sauce, lime juice, chilli and garlic. The salty, tangy, spicy, fishy and sweet sauce is exactly what you need to dunk or dip! You may never go back after a taste. Like Italians have their tomato sauce, Pho (pronounced Fu) is the chicken soup of Vietnam. This simple staple consisting of a salty broth, rice noodles, a sprinkling of herbs and chicken or beef is the most renowned of Vietnamese dishes. And understandably so. It’s earthy and soothing enough to be an addiction. “Though it’s not listed on the menu we have people coming to Busaba especially for Pho. It’s a complete meal and Indians love it,” says Nikhil Chib, Owner Busaba, one of the earliest Pan Asian restaurants serving Vietnamese food in Mumbai. After one of his trips to Vietnam in 2002, Chib even brought back a Vietnamese chef Nhan Nguyen to Busaba to discover the art of Pho. Another must try dish is Goi Bo – a refreshing raw papaya salad with shredded carrots, shrimps, basil and peanuts. If you are a fish eater try Cha ca La Vong. 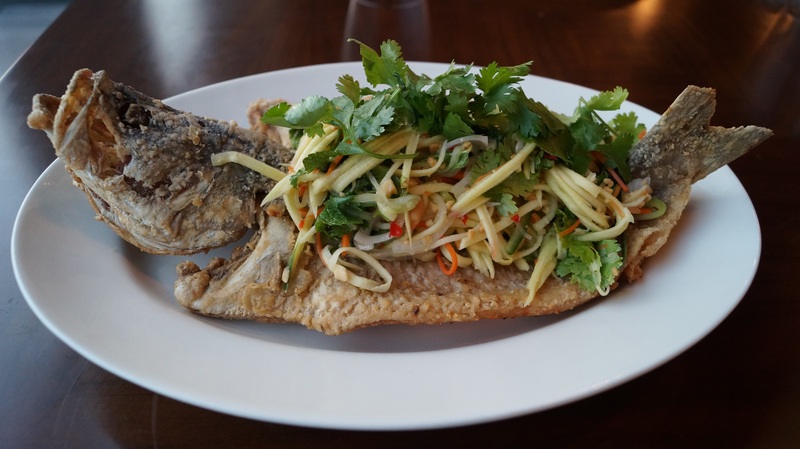 Sizzling batter fried fish served on a bed of vermicelli along with scallions, crumbled peanuts, chillies and bright-green dill. Various versions of spring rolls right from the fried to the steamed dot the cuisine but the most popular one is the fresh and healthy Goi cuon. The translucent parcels are stuffed with salad greens, meat or seafood and a layer of coriander, before being neatly rolled and dunked in Vietnam’s favourite condiment – fish sauce. 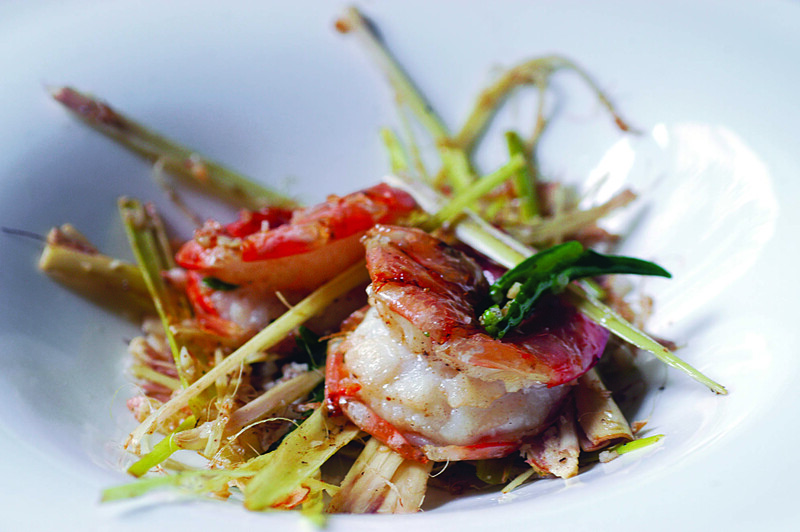 In fact it was one of the most popular dishes at the recently held Vietnamese food festival at Sofitel, Mumbai. If you don’t mind the extra calories go for the Banh xeo – a crispy crepe bulging with meat, bean sprouts and fresh herbs. Desserts could range from the humble jelly to the belt-bustingly good Fried Pineapple in sesame sauce. There is nothing laboured or pretentious about Vietnamese food. It may not be the most predictable Asian cuisine and its flavours and combinations might leave your taste buds wondering after the first bite. But it is sure to grow on you. That’s what simple things do to you.